Ornithoptera alexandrae is commonly known as the Queen Alexander Birdwing. The Queen Alexander Birdwing has the largest wingspan of any butterfly in the world. The female wingspan can get over 25 cm in length. 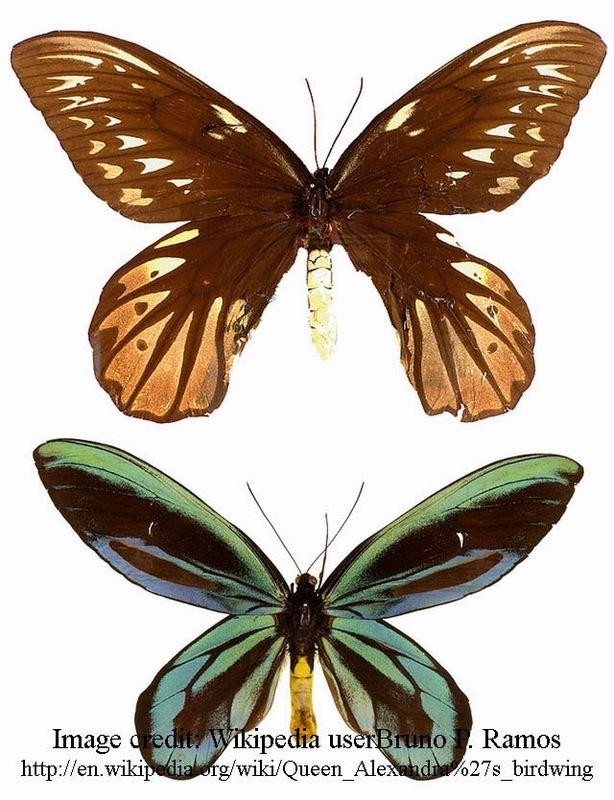 The Queen Alexander Birdwing displays extreme sexual dimorphism, with both the males and females exhibiting impressive but completely different color displays. 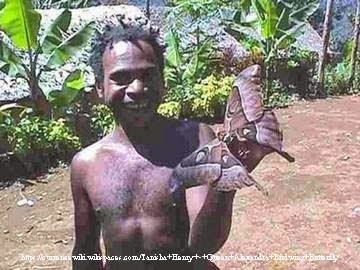 The Queen Alexander birdwing is restricted to Oro Province, Papua New Guinea.